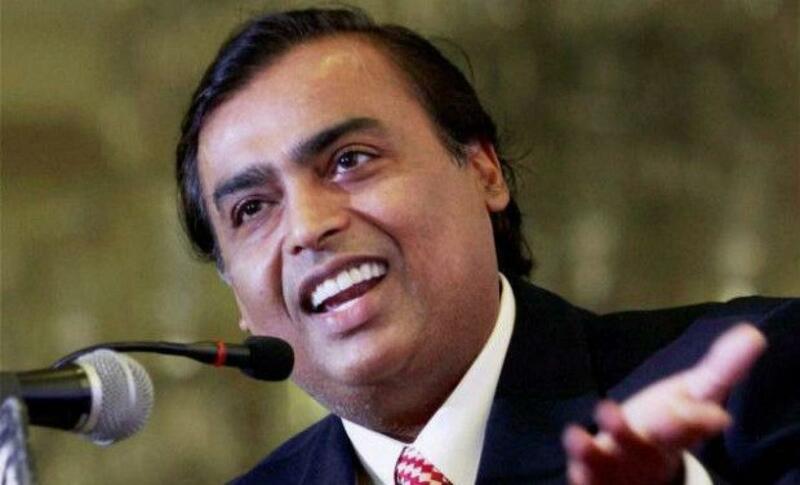 Nobody can beat Mukesh Ambani in wealth, India's richest man for 9th year! Industrialist Mukesh Ambani was named India\'s richest for ninth year in a row with a net worth of USD 18.9 billion even as his wealth dipped by USD 4.7 billion in a year, while ecommerce giant Flipkart\'s founders made their debut on the country\'s top 100 rich list. Industrialist Mukesh Ambani was named India's richest for ninth year in a row with a net worth of USD 18.9 billion even as his wealth dipped by USD 4.7 billion in a year, while ecommerce giant Flipkart's founders made their debut on the country's top 100 rich list. As per Forbes magazine's latest India rich list released tonight, Ambani was followed by Sun Pharma's Dilip Shanghvi as second richest with a net worth of USD 18 billion, while Wipro's Azim Premji retained his third place with USD 15.9 billion. Flipkart's co-founders Sachin and Binni Bansal made their debut at 86th position with a net worth of USD 1.3 billion each. The combined wealth of India's 100 richest persons remained largely unchanged at USD 345 billion, as compared to USD 346 billion in 2014, Forbes said. The magazine said the Indian economy was estimated to grow at 7 per cent this year, but the wealth of many of India's 100 richest have gone down due to decline in the stock markets and depreciation in rupee value over the past one year. As many as 10 of them saw their net worth dip by over USD 1 billion each in one year, including Lakshmi Mittal, whose net worth dipped to USD 4.6 billion (ranked 8th with USD 11.2 billion). His rank also slipped three places. At the same time, many of the billionaires also saw their net worth rise further. The list saw as many as 12 newcomers including Flipkart's founders and low-cost airline IndiGo's co-founder Rakesh Gangwal who has debuted at 70th position with a net worth of USD 1.6 billion ahead of his company's IPO. Gangwal's partner Rahul Bhatia has moved up 12 positions to 38th with a net worth of USD 2.4 billion. The biggest gainer was vaccine maker Serum's Cyrus Poonawalla whose wealth rose from USD 6.2 billion to USD 7.9 million, pushing his rank to the 9th position. Forbes said the minimum threshold for making it to the list has increased from USD 1 billion to USD 1.1 billion in 2015. In the top ten, Hinduja brothers were ranked 4th with USD 15.9 billion, followed by Pallonji Mistry at USD 14.7 billion, Shiv Nadar (USD 12. 9 billion), Godrej family (USD 11.4 billion), Lakshmi Mittal (11.2 billion), Cyrus Poonawala (USD 7.9 billion) and Kumar Mangalam Birla (USD 7.8 billion). Forbes said the list was compiled using shareholding and financial data obtained from families and individuals, stock exchanges, analysts and regulators. The ranking lists family fortunes including those shared among extended families such as in the case of Godrej and Bajaj families, while public fortunes were calculated on the basis of share price and exchange rates as on September 11. The privately held companies were valued on the basis of their peer group companies that are publicly listed.